Members from all academic schools, centres and administration from the Malawi University of Science and Technology (MUST) have since Wednesday, April 10, 2019 been working on development of a research agenda. The research agenda, according to Director of Research, Postgraduate Studies and Outreach, Dr Alfred Maluwa, is a product of the MUST Research and Consultancy Policy. During the meeting in Mangochi, schools and centres came up with their research agendas and issues under them which have been prioritized and consolidated into university-wide research agenda. 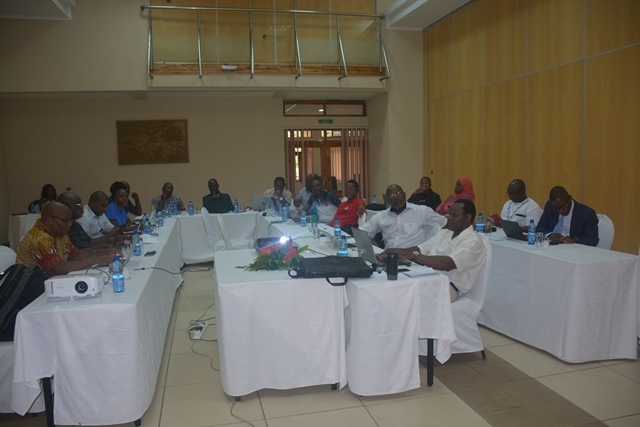 The team also came up with an implementation plan and monitoring and evaluation plan for the research agenda. MUST wants to distinguish itself as a top notch research university with a focus on research that makes a difference on the ground through creation and discovery of knowledge that solves community problems. This is why it wants to lay a solid foundation of structures and systems that would support that agenda. Also discussed at the meeting were issues of establishment of a drone academy project, guidelines of innovations awards for students and faculty, rebranding and restructuring of the Industrial Research Centre (IRC), establishment of a university holding company, terms and reference of of the University Research Committee (URC) and Intellectual Property Advancement Committee (IPAC).